No waffle tacos and Doritos shells here. First they went after McD’s with an ad filled with Ronald McDonalds. Now they’re going after Chipotle. 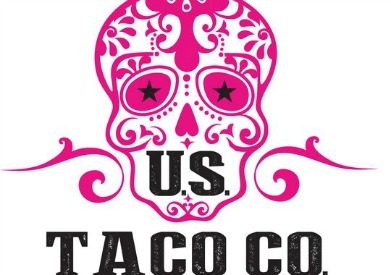 According to USA Today, the target audience for this restaurant are millennials with cash to spend on more than just 99 cent tacos. To do that, diners will have options that are more in the $10 range with ingredients like lobster and Texas brisket. They’re starting with two locations this summer — one in Huntington Beach and the other in a TBD Southern California location where they will be able to serve alcohol. That second location will have what’s being called a “Mexican Car Bomb“: a vanilla shake with Guinness beer, tequila caramel sauce and chocolate bits. Music is another thing that millennials like, there so will be some bumping tunes in the new locations. And there’s going to be a glass-encased kitchen so customers can watch their food being prepared. Trends show that this is where dining is going, so testing in this direction could be a good thing for Taco Bell and Yum Brands, its parent company. Just last week, Yum Brands reported better-than-expected earnings due to KFC sales in China. However, Taco Bell sales actually dropped one percent for the quarter. The company hopes to rectify this with the new breakfast offerings. For Taco Bell, it has, up to this point, not only been about the food, but the marketing. The company has been pushing out some crazy things like Doritos Locos tacos and waffle breakfast tacos, which have gotten a few laughs, but a lot of attention. And the company has been aggressive with its branding, for instance, in their aforementioned Ronald McDonalds commercial. Business Insider spoke with the CMO of Taco Bell Chris Brandt about the two big changes the company has made to “transform its brand.” The first is the “innovation” in new products and the use of better quality foods. The other is its ability to touch on trends. Clearly, the company is trying to hit on both of these strengths again with this latest addition. The question will be whether diners are looking for another Chipotle-like restaurant. Chipotle has got some pretty loyal customers, they also pride themselves on fresh ingredients, they serve beer and they’ve been super creative with their branding. Can the market ever be saturated with too much beer and too many burritos?